12 x 12 inches, oil on gallery wrapped canvas. 12 x 12 inches, oil on canvas. 10 x 10 inches, oil on board, sold. 12 x 12 inches, oil, sold. 12 x 12 inches, oil, available. 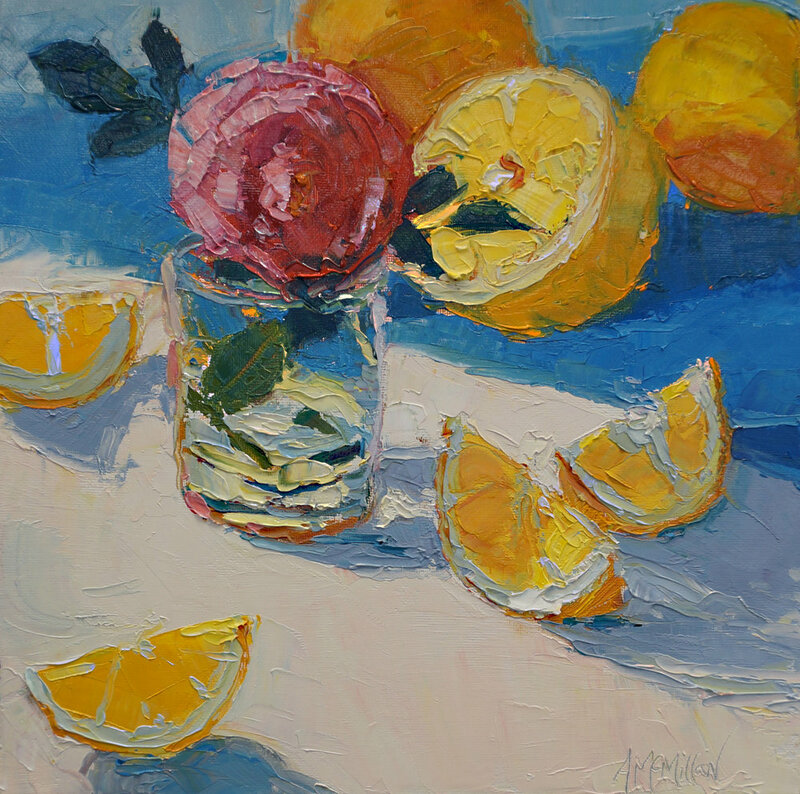 My still-life paintings are a celebration of color and observation. Usually executed with a palette knife, they explore close immersive observation of the subject and the color relationships of different lighting situations.